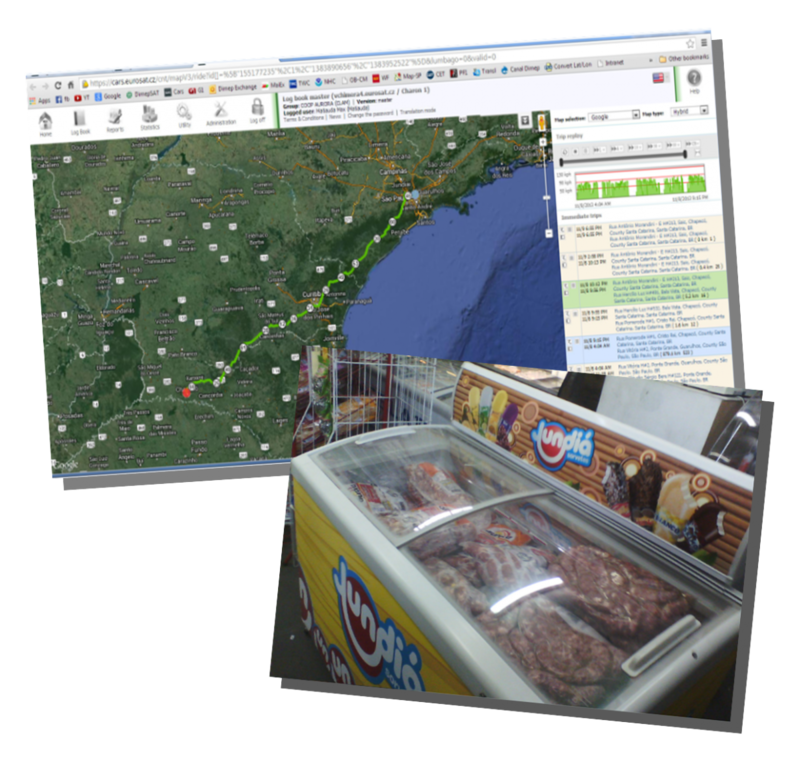 In November of 2013, a cold cuts distributor in Brazil managed to recover stolen merchandise thanks to our product GL200. The distributor, who had long been plagued by a high theft rate, purchased our product GL200 and placed it in one bag of sausages as a bait in order to catch the thief and recover goods if a theft happened. On November 7, a truck loaded with his merchandise was stolen. The backend server tracked the route of the truck all the way as GL200 kept reporting its position. The stolen sausages finally appeared in a supermarket 1,000 kilometer away from Sao Paulo and the distributor was able to get back his merchandise with the help of the police. GL200 is a powerful GPS locator designed for lone worker, vehicle, pet and asset tracking applications. The water resistant tracker can operate in a temperature ranging from -20℃ to +55℃, features that make the product especially suitable for anti-theft protection even in a cold environment in this case. Please see the two pictures of the tracking after the theft and the freezer in the supermarket where the police found the stolen sausages.